Donald Trump’s first post-election press conference just got a lot more interesting, and thankfully there will be fewer confirmation hearings to distract lawmakers and journalists. While there were originally five hearings scheduled for Wednesday, we’re now down to three. In recent days, Democrats and a federal ethics watchdog complained that they don’t have enough time to properly vet Trump’s cabinet picks. The incoming administration got a late start, and some nominees haven’t completed their paperwork — plus, with so many billionaires in the mix, untangling all the potential conflicts of interest is more difficult than usual. Republicans said they wanted to have Trump’s team cleared quickly so they would be ready to serve immediately, but on Tuesday they announced three more confirmation hearings would be delayed. 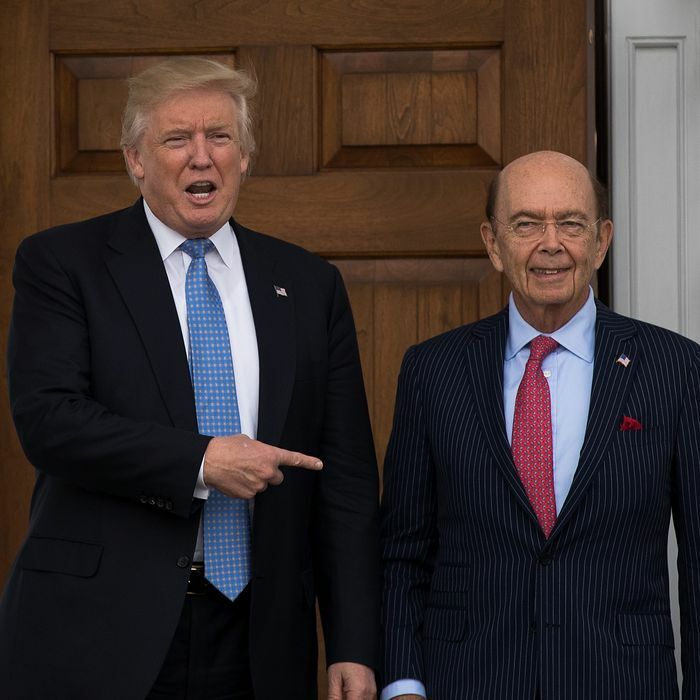 The hearing of billionaire Wilbur Ross, Trump’s pick for Commerce secretary, has been pushed from January 12 to January 18, according to Reuters. “While Mr. Ross has submitted his responses to the committee’s questionnaire, we have not yet received the ethics agreement he is working on with the Office of Government Ethics and the Department of Commerce to finalize,” lawmakers on the Senate Commerce Committee said in a statement. The Office of Government Ethics has yet to complete its review of fellow billionaire Betsy DeVos, who was tapped to be Education secretary. The Senate Committee on Health, Education, Labor and Pensions said on Monday that her hearing had been moved from Wednesday to January 17. That’s the day originally slated for fast-food executive Andrew Puzder, Trump’s selection for Labor secretary. The committee said on Tuesday that it now has no specific date set for Puzder’s hearing, and may push it off to February. The New York Times reports that his background documents aren’t in order either. The hearing for Representative Mike Pompeo, Trump’s pick to lead the CIA, has been pushed from Wednesday to Thursday. The reason for the delay is unclear. While it will now take longer for some of Trump’s cabinet picks to be confirmed by the Senate, it does not appear that any are at risk of being rejected.